Bite the Ballot supported by Spirit Of London Awards, UpRise and The Community Channel’s London360 launches ‘Youth Vote London’. 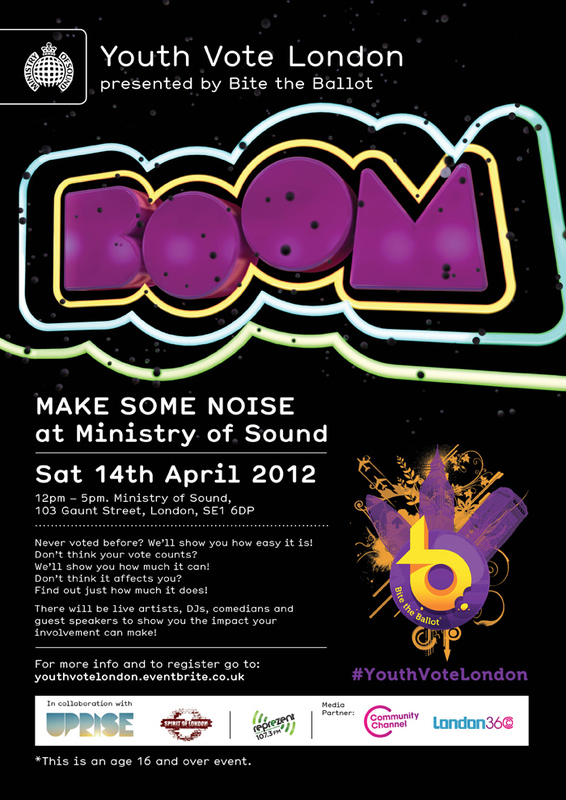 Bite The Ballot’s campaign is calling on young people to be a part of the biggest voting registration rally ever held in the UK, on 14th March, at the legendary Ministry of Sound from 12 noon to 5 p.m. The aims of the day are to inspire young people to register, be an active part of the UK’s democracy and use the power of their vote to create the changes they need and want. Edutainment will include special guest-speakers, mayoral candidates, Ken Livingston, Brian Paddock, Jenny Jones, actors, musicians, comedians and DJs. Youth Vote London’s supporters include Alesha Dixon, Ashley Walters, Estelle, Twilight’s Judi Shekoni, Labrinth, Westlife’s Mark Feehily, Rizzle Kicks, Radio 1 DJ Scott Mills, Treasure Island’s Shaun Parkes, Eastenders’ Preeya Kalidas, Tanya Franks, Tinie Tempah and Wretch32. Young Londoners sign up free here! Is it right for a 13 year old to aspire to be on the dole? Should young people choose employment or welfare? How can things be changed for our youth? On Monday 19th March these questions and more will be asked directly by 150 young people to MPs and Peers in the Houses of Parliament. Bite the Ballot will be hold this groundbreaking debate designed to give young people a platform to ask questions regarding issues important to them, and get direct answers from parliamentarians! Bite the Ballot’s parliamentary debates are one of a kind and always create a lively discussion among participants. The event will be attended by young people from in and around London as well as MPs and Peers from different parties. Frank Field MP (Lab) will be a guest-speaker on the debate and will be chaired by Alastair Stewart – ITV’s news anchor. Monday’s debate will be discussing the current hot topic of ‘The Welfare State’, and give the attendees a chance to make suggestions on what and how they believe needs to change in front of the decision makers of this country. The debate will feature state of the art technology allowing the attentive audience to actively interact throughout and give their views on a number of important issues. Bite the Ballot’s aim is to improve the future of democracy in UK by actively involving young people in debates and educating them about the importance of their participation. Bite the Ballot continues to bridge the gap between everyday young people and politics in the hope that the 2015 General Election and the upcoming mayoral election will have the highest turnout of young voters ever. Bite the Ballot is a grass-roots movement aiming to play a key role in inspiring engagement of everyday young people. Those that thought politics is boring and does not relate to them, are progressively becoming a growing team of young campaigners engaging their fellow generation. They follow a simple approach of empowering young people in their community to organise and run events to re-brand British politics. The campaign engages growing numbers of young people in unconventional ways, ways in which young people relate to, enjoy and find fun – words you currently do not associate with Politics! 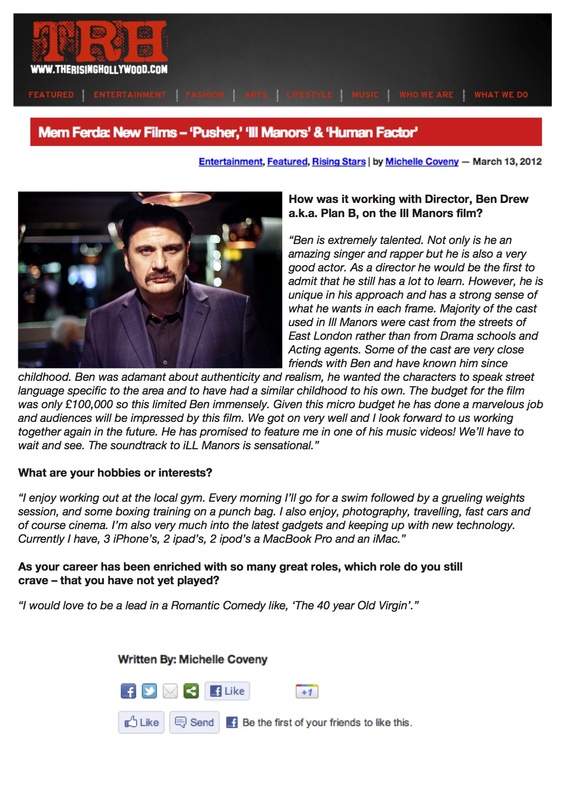 Mem Ferda talks to Rising Hollywood about his lead role as Hakkan in Nicholas Winding Refn’s Pusher. 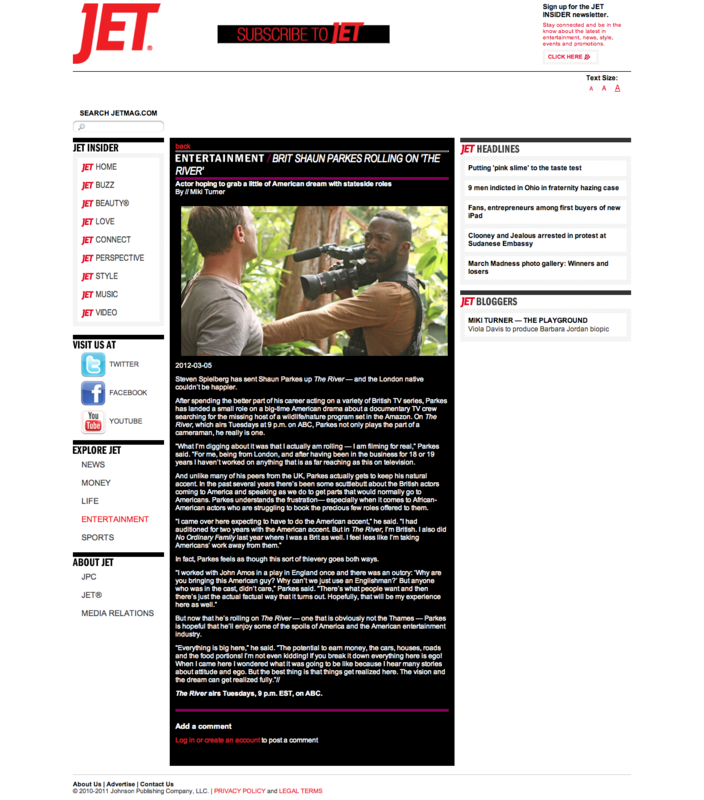 Emrhys Cooper talks Desperate Housewives and much more with Elaine Penn from TV Choice Magazine.